December 30, 2015 — Old Town’s Jill Pelto has been visiting the North Cascade Glaciers of Washington State with her father since she was 16 years old. The rugged mountains and snowy summits were stark and beautiful. “I was in awe,” she said. She’s returned to Washington State every year since then, but things have drastically changed since her first experience at 16 years old. Now she’s trying to explain those changes through her artwork. Originally from Worcester, Massachusetts, Pelto, now 22, graduated in December from the University of Maine as a double major in studio art and earth science. Mauri Pelto, a professor of environmental science at Nichols College in Massachusetts and glaciologist, started the North Cascade Glacier Climate Project in 1984 and has studied glaciers and the rapid changes they have undergone for over 25 years. January 2, 2016 — GLOUCESTER, Mass. — As dusk settled Dec. 3 on stormy seas 18 miles off Cape Ann, the crew of the Orin C felt a wave of relief. The Coast Guard had just arrived to tow them home to Gloucester, where they could unload 10,000 pounds of slime eel and repair their overheated engine. But three hours later, the relatively routine tow took a tragic turn. The 51-foot Orin C rapidly succumbed to 12-foot seas, leaving three men bobbing in the dark, 49-degree waters amid a blizzard of heavy debris. Crewmen Rick Palmer and Travis Lane swam to safety, but the Coast Guard later said Captain David “Heavy D” Sutherland could not be revived after a rescue swimmer reached him. For all the well-known risks of commercial fishing, riding home with the Coast Guard isn’t one that fishermen generally fear. To lose both a vessel and a life in a controlled tow situation is extremely rare. The Coast Guard is now considering a series of policy changes that would be binding nationwide as a result of this case, said Lieutenant Karen Kutkiewicz, spokesperson for the First Coast Guard District, which covers the Northeast seaboard. Among the considerations: new requirements for Coast Guard vessels to be equipped with defibrillators; new protocols to make sure sinking vessels receive reliable pumps; and new methods to deliver lifesaving items from helicopters without endangering personnel. 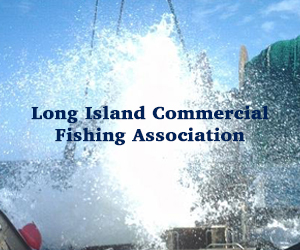 January 1, 2015 — The Northeast Seafood Coalition is seeking the city Fisheries Commission’s support for the New England Fishery Management Council’s recent vote to reduce the mandated level of at-sea monitoring for groundfish boats when the 2016 fishing season opens May 1. 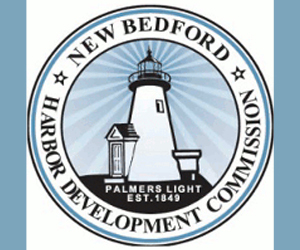 Jackie Odell, NSC executive director, said she will make a formal request for a letter of support from the commission at its yet-to-be scheduled January meeting to begin building public and industry support for the actions the council took at its December meetings in Portland, Maine. 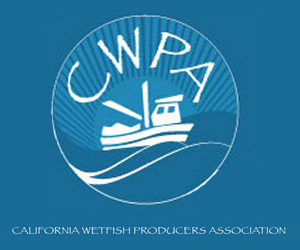 With the prospect of groundfishermen forced to assume the hefty cost of at-sea monitoring at some point within the first quarter of 2016, the council voted to reduce the level of mandated monitoring from approximately 24 percent of all groundfish trips to about 13 percent to help ease the additional financial burden looming on the horizon. December 31, 2015 — Nearly six years after being savaged by a Commerce Department investigation that portrayed it as a department basically run amuck, the NOAA Fisheries Office of Law Enforcement has issued its first public annual report. The report, released Dec. 17, is “part of our effort for more transparency,” Casey Brennan, chief of staff at the Office of Law Enforcement (OLE), said Wednesday. The report, which does not reference the documented abuses by NOAA law enforcement agents at the heart of the 2010 investigation by the Commerce Department’s inspector general, portrays an agency grappling with the challenge of fulfilling its expanding mandate despite shrinking resources, budgetary constraints and declining staff at its headquarters, as well as its five divisional offices and 53 field offices. “As we continue to navigate the challenges of resource management and budgetary constraints while adapting to new and expanded missions, we have not lost sight of our core priorities,” OLE Director James Landon wrote in his director’s message introducing the report. NEW BEDFORD, Mass. — December 29, 2015 — If NOAA Fisheries should decide to move the Northeast Fisheries Science Center out of Woods Hole, Mayor Jon Mitchell said New Bedford would be just right for a new home. For about a year, the Commerce Department, which contains NOAA, has been assessing the adequacy and the condition of the various buildings that constitute the laboratory. NOAA spokeswoman Teri Frady said repairs, renovations or replacement are all possible options and any definitive direction is still a long way off. 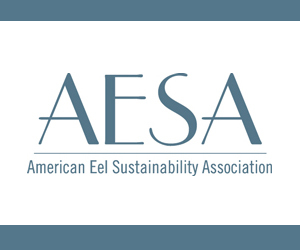 ELLSWORTH, Maine — December 28, 2015 — The new year will soon be here, and with it comes a new round of significant changes to the rules governing the herring fishery. Hearings are also scheduled in New Hampshire, Massachusetts and Rhode Island. 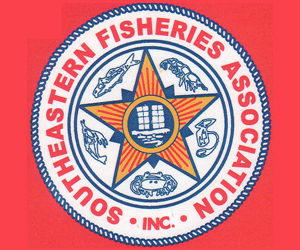 The new rules proposed by the interstate Atlantic States Marine Fisheries Commission will bring big changes to the fishery that is the primary supplier of bait to Maine’s lobster industry. In 2014, the last year for which DMR has data, still preliminary figures show that fishermen landed just over 104 million pounds of herring, worth some $16.3 million, in Maine. Scientists from the Gulf of Maine Research Institute have determined that about 70 percent of that herring (some 70 million pounds) is used by Maine lobstermen as bait. 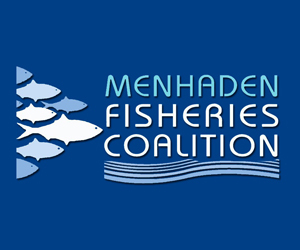 According to the ASMFC, the new rules would affect the inshore Gulf of Maine — called Area 1A — herring fishery to reflect changes in both the herring resource and the fishery itself. 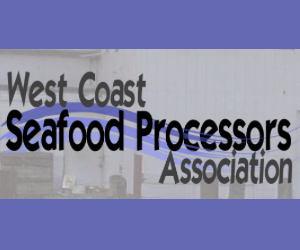 The key changes deal with the closure of the fishery during spawning season and would impose a requirement that herring boats completely empty their fish holds before starting each fishing trip. Regulators generally consider the herring stock to be abundant, especially compared with just a few years ago when overfishing had seriously depleted the fish population. The herring stock in Area 1A now includes more fish that are larger and older compared with the time when overfishing was a problem. The evidence suggests that the larger fish spawn earlier than smaller herring, and that the start of the spawning season varies from year to year. 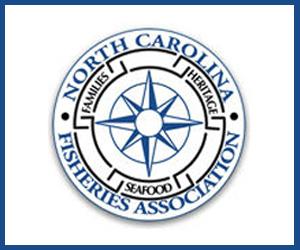 Northeastern fishermen and fishing families with Facebook accounts who would like to comment, and let EDF know what catch shares have meant to them, can access the post here. On December 23, 2015, the Falmouth Enterprise published a story that NOAA “is exploring the possibility of relocating the Northeast Fisheries Science Center to a new facility outside of Woods Hole.” While the story suggests that relocation may be imminent, we are in fact very early in the process of considering how best to update the buildings and associated operations of the 54-year-old Woods Hole complex. The Enterprise story also contains statements from a Science Center employee that do not represent the views of the agency. At this point, NOAA has not made a decision to relocate the laboratory and will only pursue a recapitalization option after extensive analysis and consultations with the Administration and Congress. Right now, NOAA is conducting a large-scale study that will evaluate all of our options for upgrading the Woods Hole complex. Studies like this are a normal business practice for long-term planning. This type of study requires the agency to evaluate multiple options to inform the overall decision-making process. While NOAA Fisheries is fully committed to maintaining its scientific capabilities in the Northeast, the condition of that laboratory, built in 1961, will make it increasingly difficult for NOAA to continue its tradition of world-class fisheries science in the region into the future. The current study will be completed sometime in the spring. Starting with this study, Fisheries will continue to work with NOAA and the Department of Commerce to ensure they have everything they need to evaluate our options, including information on potential community impacts, costs and benefits to our mission, and the ability for our Agency to continue to do our scientific work in the Woods Hole area. We look forward to working further with the Administration, with Congress, and with all of our partners in the region as we evaluate our options for upgrading our facilities and providing the best long-term support for our scientific work in the Northeast. December 29, 2015 — KENNEBUNK, Maine — A Kennebunk electric utility is weighing whether to remove the three lowest dams on the Mousam River or face potentially costly upgrades to restore fish passage to a river that once hosted large runs of spawning fish. Trustees at Kennebunk Light & Power District have until March 2017 to decide whether to seek federal relicensing of three dams that the nonprofit utility owns on the Mousam River or propose several alternatives for the facilities. One option under serious consideration – and being pursued by local conservationists and sportsmen – is the removal of some or all three of the dams, including the large Kesslen Dam located in the heart of downtown Kennebunk. The Mousam River is the only major river system in Maine emptying into the Gulf of Maine that lacks any methods for fish such as American shad, alewives or Atlantic salmon to bypass the dams, effectively blocking them from accessing more than 300 miles of watershed. Removing the three dams would allow the lower 9 miles of the Mousam River to flow freely – although an additional 12 dams remain on the upper stretch of river – and is part of an intense river restoration push in Maine. December 29, 2015 — Sometimes technology solves a problem, sometimes it makes it worse. When researchers at the New England Aquarium and the Center for Coastal Studies in Provincetown examined ropes recovered from whales entangled in fishing gear from 1994 to 2010, they found that entanglements for North Atlantic right whales, the world’s most endangered great whale species, accelerated dramatically from 1993 to 2010, in both frequency and in the severity of the entrapment. The culprit, scientists believe, is a new type of rope known as Polysteel, that rope manufacturers began making and marketing to fishermen and others in the marine trades as being 40 percent stronger and more durable than other synthetic ropes. Plus, the lobster industry also shifted from wood to wire traps that allowed them to use heavier gear and for the pots to stay in the water through the winter, increasing the likelihood of interaction with whales. Even though fishermen already employ weak links designed to break and separate the line from the buoy when a whale pulls on it, researchers found the lines themselves were still doing a lot of damage. “It was a huge change,” said Amy Knowlton, the lead author of the study and a research scientist with the New England Aquarium working to reduce the risk of whale entanglement and death from fishing gear and lines. Scientists put the number of North Atlantic right whales that can be lost due to human causes at less than one per year, if the population is going to increase and avoid extinction. The National Marine Fisheries Service has calculated that 3.25 right whales per year either died or were severely injured between 2007 and 2011 by being caught up in fishing gear and lines. The agency estimates that 83 percent of the right whale population shows scarring from fishing gear.